Anthony is our Founder and an inspiration. 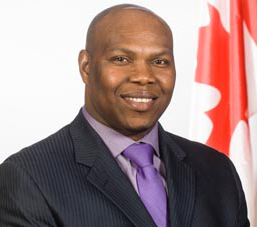 He is a professional with integrity and the networking skills to attract partners that wish to work together to strengthen the Canada Africa Network. Anthony was a member of the Nigeria Export Promotional Council – (Kano Chapter), where he developed marketing strategies on how countries can improve their foreign trade. After many years of living and working in Nigeria, Anthony made Vancouver his home in 1997. He is active in many local Chambers of Commerce in British Columbia. Since arriving to Canada, he completed an Entrepreneur Program at BCIT, School of Business, and earned his certificate as a Foreign Trained Professional at Douglas College where he worked on a project called “Economic Forward Thinker”. An entrepreneur with keen interest in economics, Anthony has extensive knowledge in areas such as risk management, sales forecasting, business trend analysis,and critical thinking on business development. He has worked and applied these skills internationally on different businesses, which, in turn, has allowed him to become involved in a variety of regions’ economic communities. Regions of concentration have included: China, Germany, Netherlands, Singapore, South Korea, Switzerland, and the United States.